We currently act for several clients that have had poor outcomes following cosmetic surgery procedures carried out by relatively inexperienced surgeons touting themselves as ‘cosmetic surgeons’. There are presently no government regulations restricting practitioners from holding themselves out as ‘cosmetic surgeons’, even if they have no surgical training. This is in contrast to ‘plastic and reconstructive surgeons’ and ‘specialist surgeons’ who are required to undergo years of surgical training. We have long been critical of the government’s reluctance to restrict the use of the term ‘cosmetic surgeon’. This has called for a Review of the Regulation of Cosmetic Procedures. 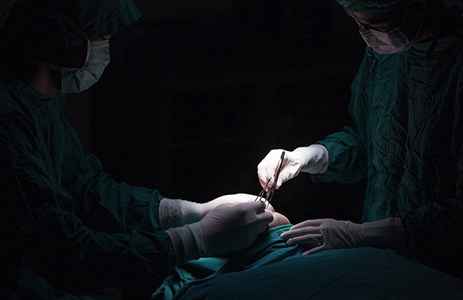 Opponents to the proposal that the term ‘cosmetic surgeons’ be regulated argue that patients should conduct their own research as to the qualifications and experience of practitioners prior to undergoing procedures. In April 2018, NSW Health released a Report on the Review of the Regulation of Cosmetic Procedures (April 2018). The report covers the results of a review, announced by the NSW Minister for Health, the Honourable Brad Hazzard MP in September 2017. It was undertaken in response to a series of tragic outcomes including the death of Jean Huang, a 33-year old woman who underwent the injection of local anaesthetic and breast filler by an overseas trained practitioner not registered in Australia at Medi Beauty Clinic located in Broadway, Sydney. The practitioner in question has since been charged with recklessly inflicting grievous bodily harm and using poison to endanger life. The introduction of tighter regulations for the prescribing, use, storage, access and administration of medicines that are widely used in cosmetic procedures. The report urges patients to undertake their own inquiries including checking the Australian Health Practitioner Regulation Agency website to check whether the relevant practitioner is registered in Australia and whether any conditions have been placed on their ability to practice. Patients can also check whether the procedure being considered is listed as a procedure which must be carried out at a ‘licensed private health facility’ or public hospital. Licensed facilities are obliged to display a copy of their licence. A list of facilities currently licensed can be found at http://www.health.nsw.gov.au/Hospitals/privatehealth/Pages/application-forms.aspx. We will be watching closely to see whether the recommendations made in the report are actioned by the NSW Government.